In addition to the serial audio drama, Shadows And Daylight, GreenStreams Studio also produces a variety of other content. 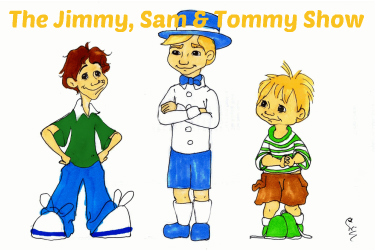 One of the other ventures is the wacky comedy program, The Jimmy, Sam & Tommy Show. During the Fall and Winter of 2015, GreenStreams Studio has also been creating a short-form spin off miniseries featuring the character of Jimmy from The Jimmy, Sam & Tommy Show. This new show is called The Incredibly Brief Adventures of Jimmy Dunn. 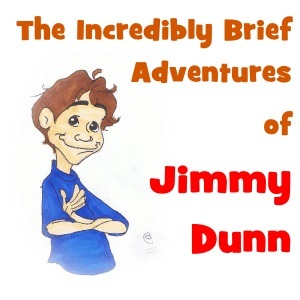 On December 22, 2015, the studio released episode 10 of The Incredibly Brief Adventures of Jimmy Dunn which features Audio Theatre Central host, J.D. Sutter as a guest star. This episode is part of a continuing story arc that has been running through the entire series so you may want to start at the beginning to have the full context of what is happening. And as a teaser, the episode does contain an Adventures in Odyssey reference. So run right over and check it out. You can find episodes of The Jimmy, Sam & Tommy Show here. The Incredibly Brief Adventures of Jimmy Dunn episodes live here. The episode with JD can be found here.